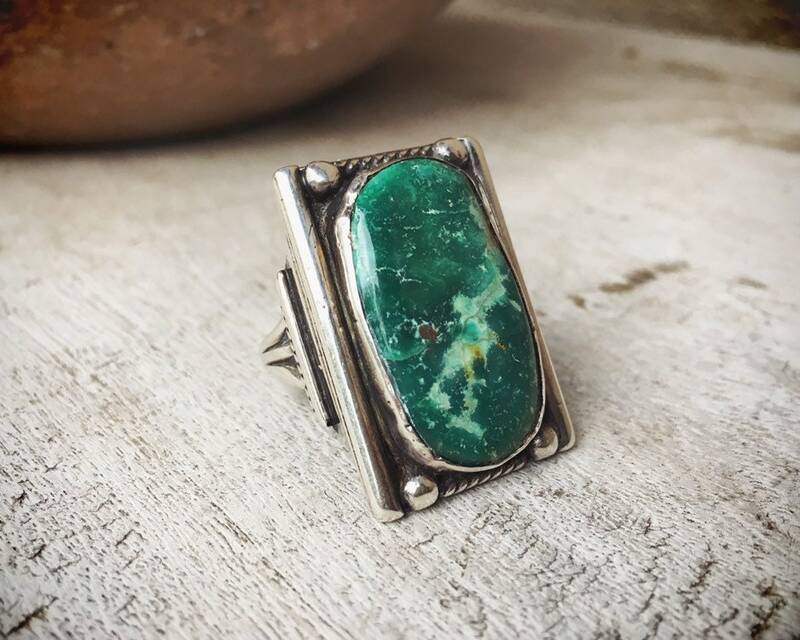 Like many pieces in my shop, this piece is stand out for the amazing turquoise, which is collectible Carico Lake from Nevada. 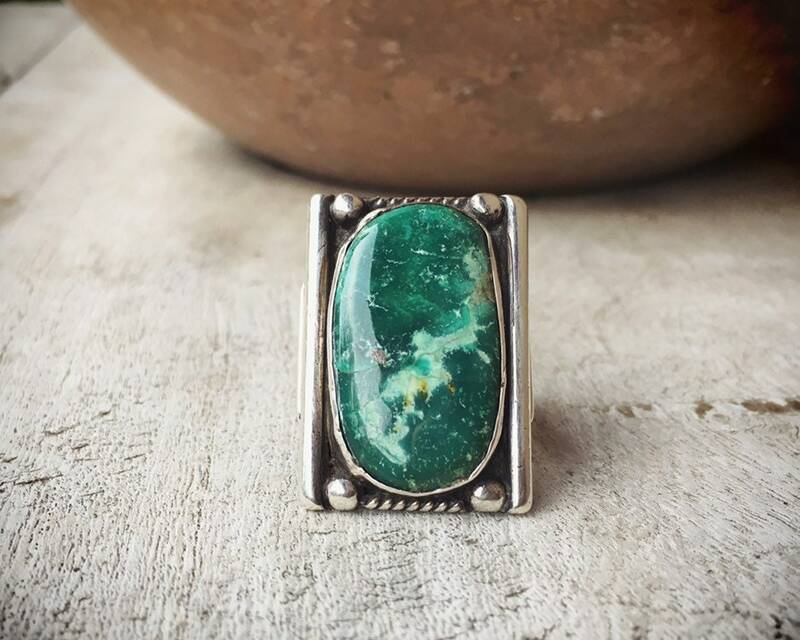 The beautiful almost Kelly green stone has matrix in the form of light, almost white color and bits of gray. Some veins come to the surface, and while they might look like a crack, they are not. 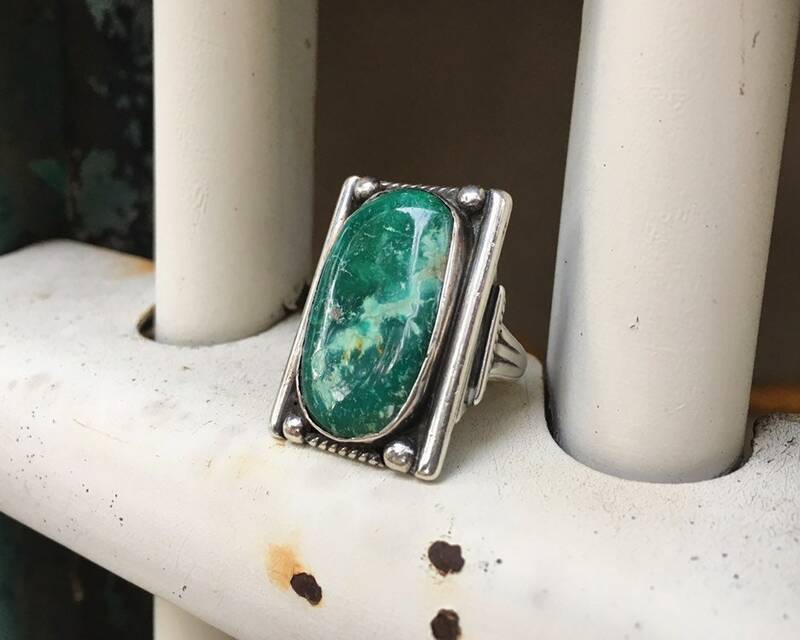 The large stone is set on a silver rectangular plate, with a twist wire border with silver raindrops on top and bottom. 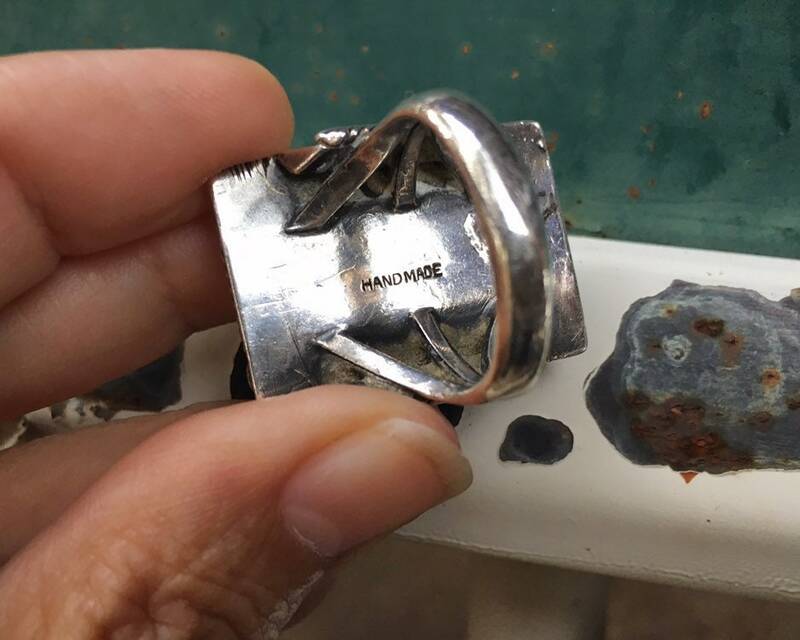 The ring has a partial hallmark on the back--the word "HANDMADE." That word was used in some artist hallmarks, as well as often with the word "Navajo" but since this doesn't not have any other word, we can't say for certain that it's Native American. However, we believe it is Navajo. 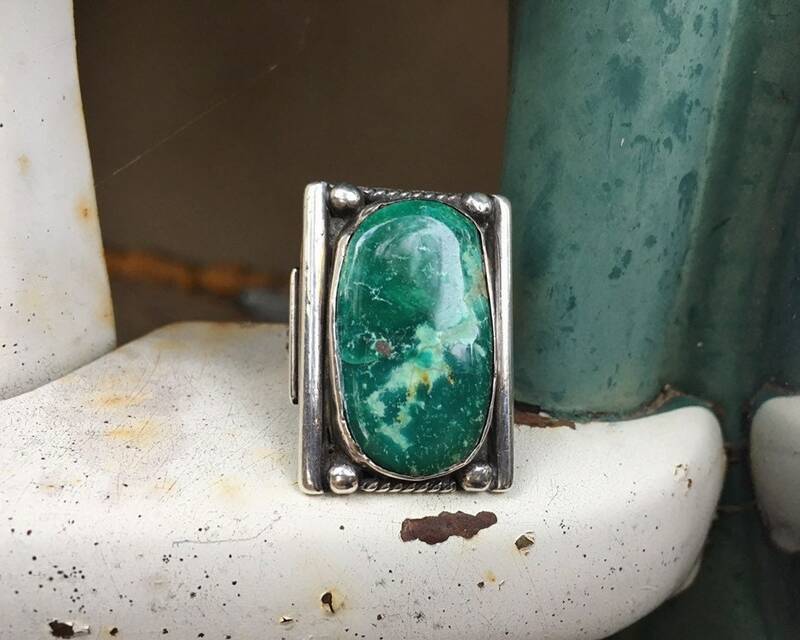 The ring is Size 8 to 8.25 and the ring face measures just under 1-1/4" long by just under 7/8" wide. 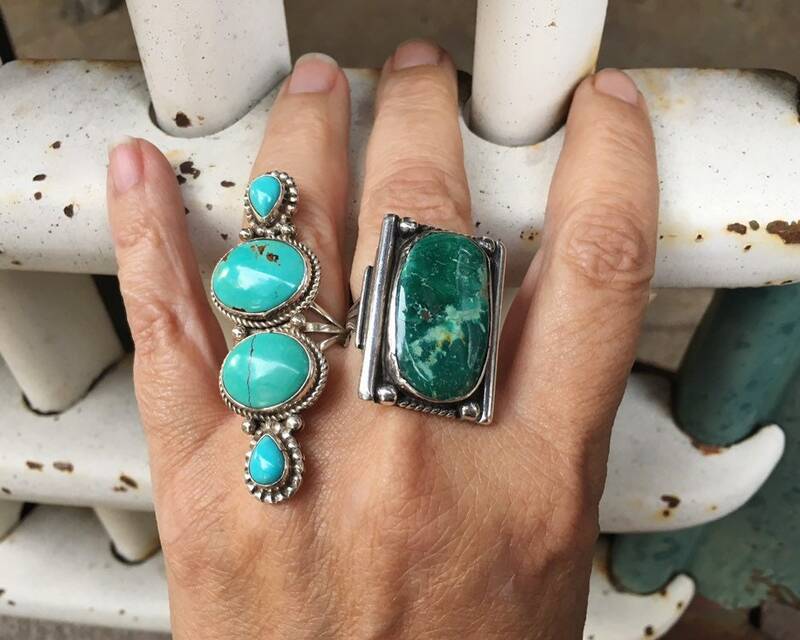 The turquoise is just a bit smaller in size, as it goes up close to the edge of the ring face. An interesting design on the sides appear almost to be the traditional style of men's band but then converts to a triple shank. 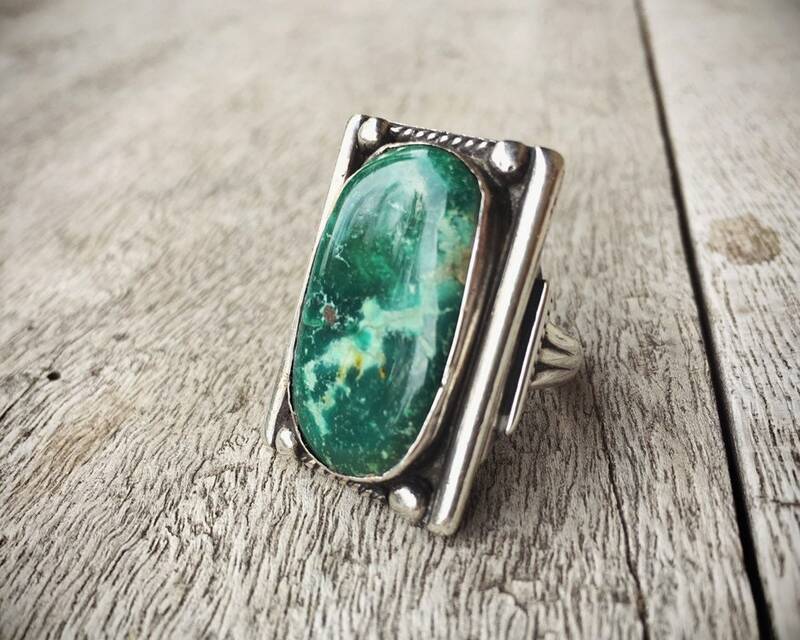 Given this design, I think this would be a gorgeous ring for a man. 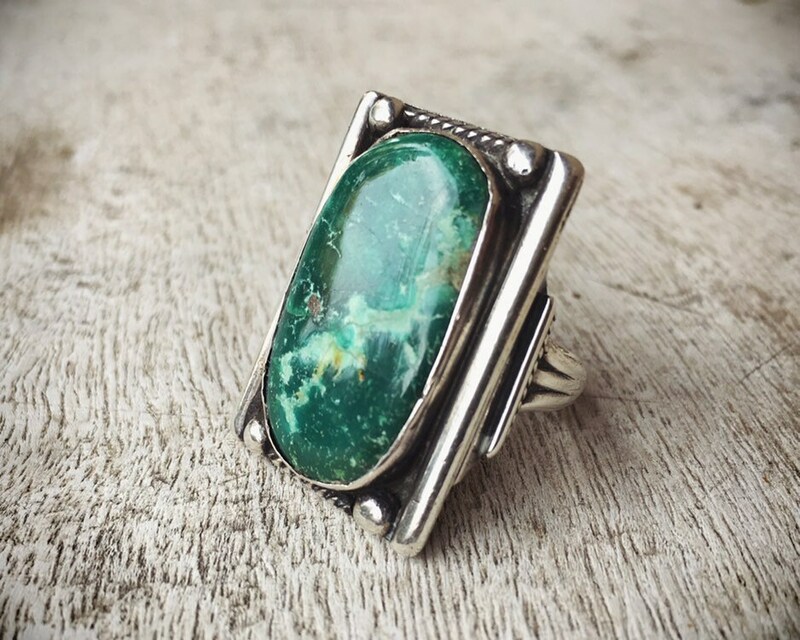 However, the size is perhaps not large enough to be a Men's ring, although the ring can be resized. In good vintage condition. 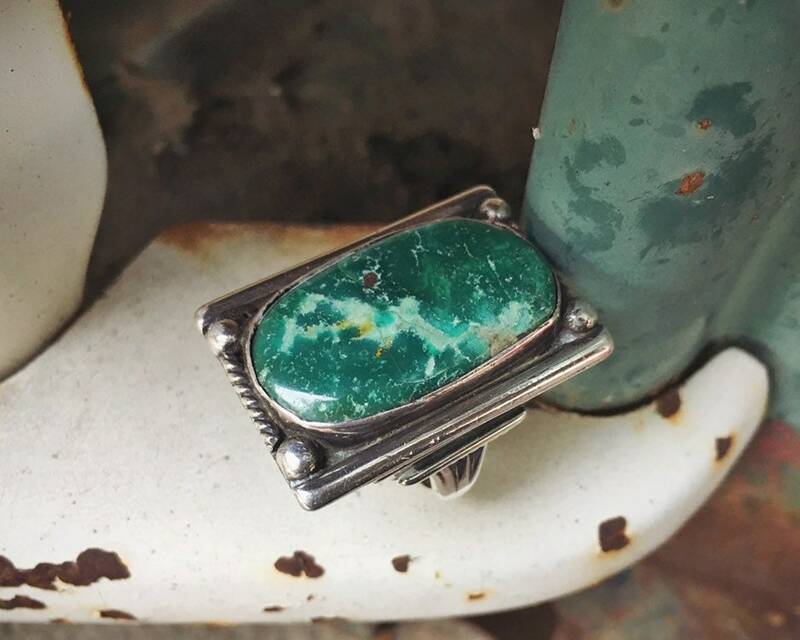 This ring can be resized for an additional $25. Please convo with questions, or call (505) 369-6865. Will return your call as soon as possible.